Feyenoord Rotterdam is a club with a rich history. It all began on 19 July 1908 when four enthusiastic young men met in De Vereeniging café to form a new football club, Wilhelmina. 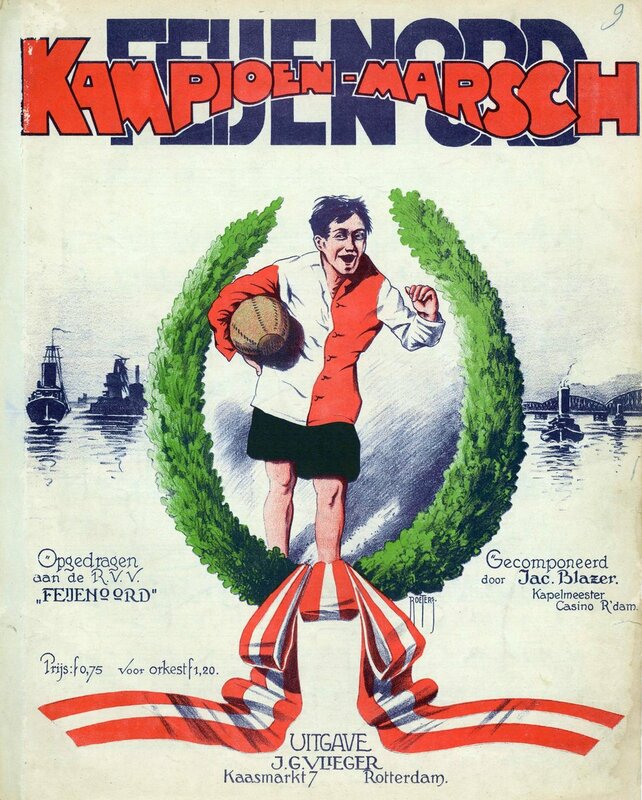 The name and colours changed a couple of times in those first few years, but on 15 July 1912 the club was given its permanent name: Rotterdamsche Voetbal Vereeniging Feijenoord (Rotterdam Football Club Feijenoord). The club adopted its now traditional strip: a red and white shirt with black shorts and black socks with red and white hoops. Although Feyenoord relocated twice, Rotterdam South remained the club’s home base. That proved to be conducive to Feyenoord’s success. One promotion quickly followed the other and less than twelve and a half years after its formation Feyenoord celebrated promotion to the Dutch top flight for the first time. The workingmen’s club was now rubbing shoulders with the so-called ‘gentlemen’s clubs’ who dominated football in those days. That aristocratic supremacy would soon end, though: in its third season in the top flight and just sixteen years after forming Feyenoord won its first Dutch title. The club of the working masses from Rotterdam South had hit the big time. The whole city glowed with pride at the club’s achievements. The working class mentality of the city of trade, with many inhabitants working in Rotterdam’s docklands, is part of the club’s DNA. Feyenoord is a roll-your-sleeves-up sort of club, an actions-not-words sort of club. The Pride of South, still one of Feyenoord’s nicknames, became the Pride of Rotterdam. 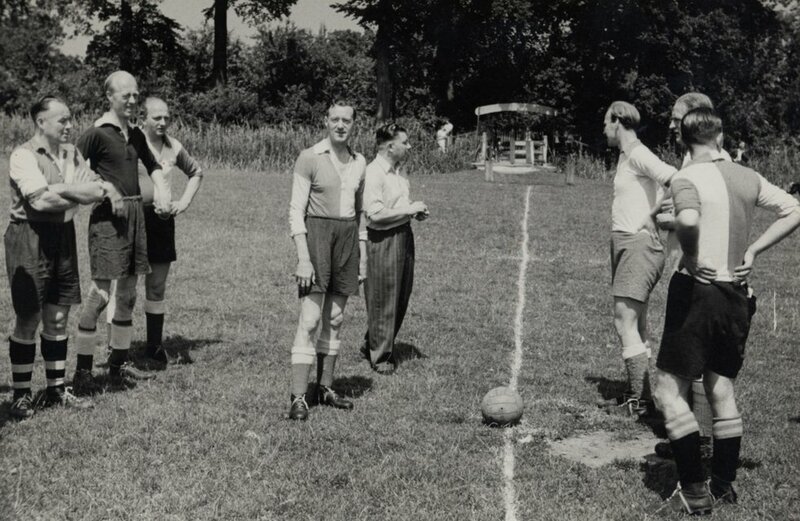 As the club became more and more successful by playing attractive football interest started to be shown even outside the city’s boundaries. 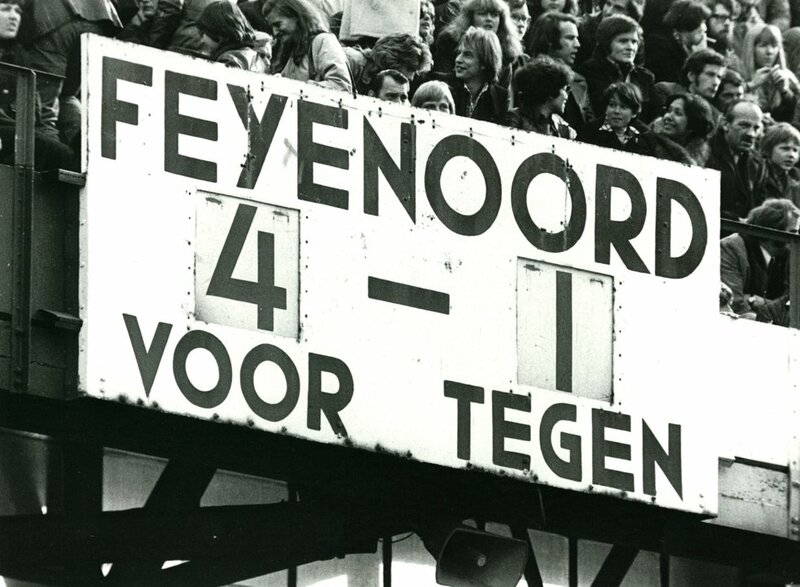 Feyenoord soon became a natural treasure; a club with deep roots in Rotterdam, but fans throughout the country. 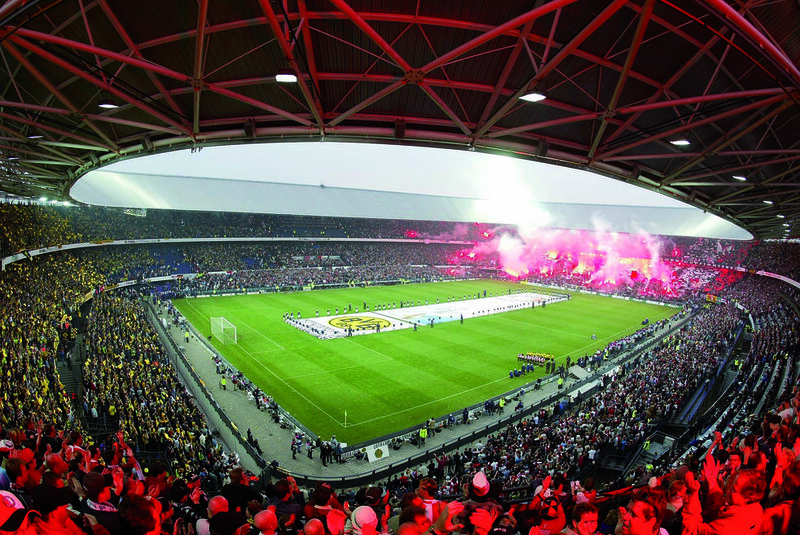 Feyenoord became the club of the people, who since 1937 come together at the iconic De Kuip stadium. 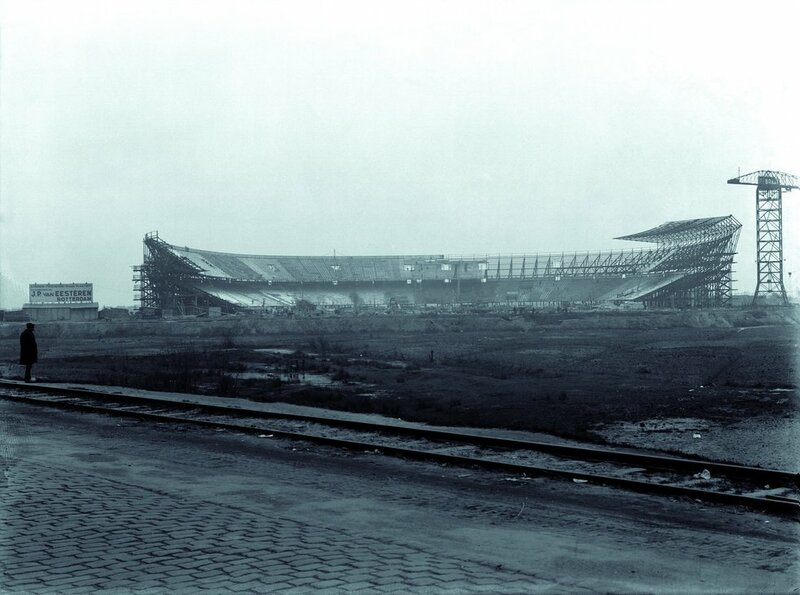 Together with the huge army of loyal, fanatical supporters the club achieved national as well as international success, growing into the leading light it remains today. 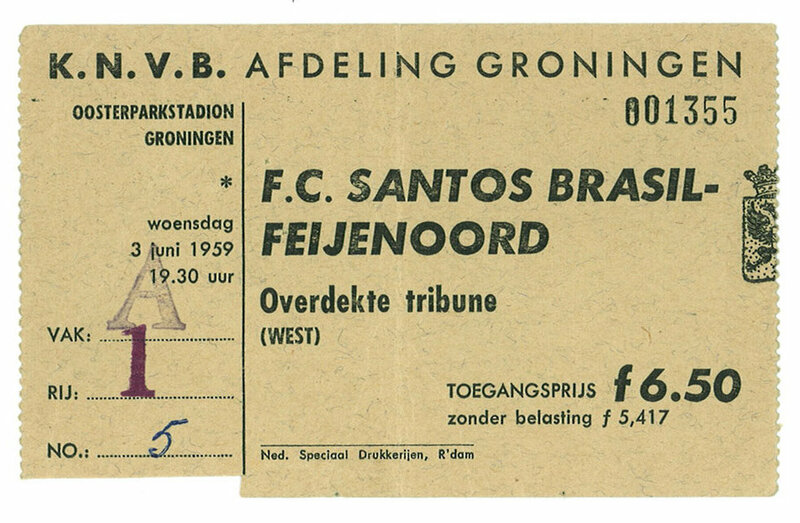 Feyenoord’s ambitions were not limited to the national stage, though. After the first historic league and cup double in 1965, the club set its sights on international success. It was not too long in coming. Under Austrian coach Ernst Happel Feyenoord assembled and honed an exceptional team in the second half of the sixties that would catapult the club to the top of the European game. 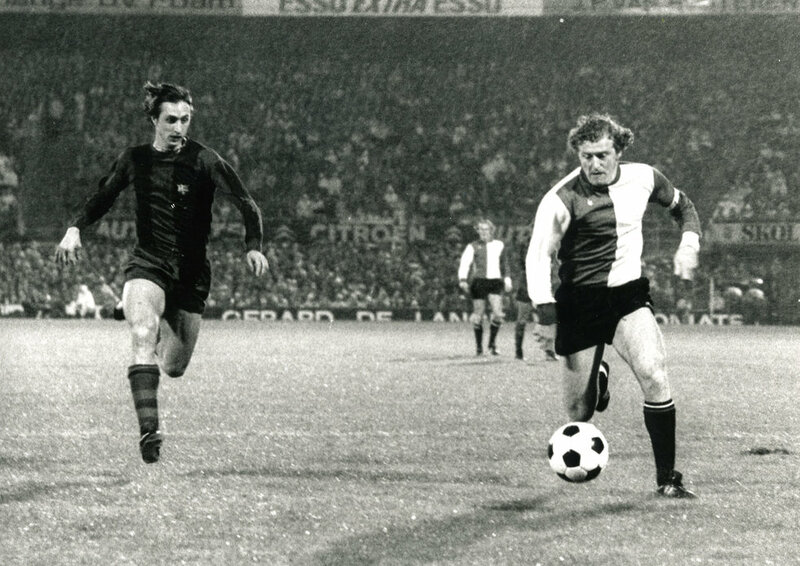 A star-studded line-up featuring players like Willem van Hanegem, Rinus Israel, Wim Jansen and Coen Moulijn won Feyenoord the ultimate prize in European football on 6 May 1970. At Milan’s San Siro stadium Swedish striker Ove Kindvall secured the European Cup in front of 25,000 travelling fans with a canny lob deep into extra time against Scottish champions Celtic. 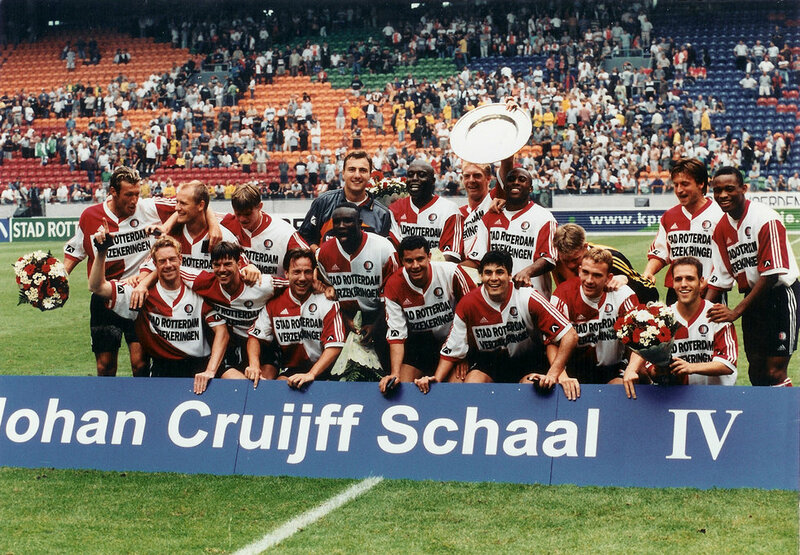 Feyenoord became the first Dutch side to win the trophy and it remains the club’s greatest achievement. Next day hundreds of thousands converged on the city’s main drag Coolsingel to salute the returning heroes. Feyenoord took it to the next level four months later, defeating hard-boiled Argentinian Copa Libertadores champions Estudiantes de la Plata in the Intercontinental Cup. After a 2-2 draw in Buenos Aires, Joop van Daele came off the bench in the return at De Kuip to decide the tie, scoring with a low drive. With emotions running high, Estudiantes players Malbernat and Pachame would vent their frustration by ripping off the young Van Daele’s glasses and stamping them into the ground. 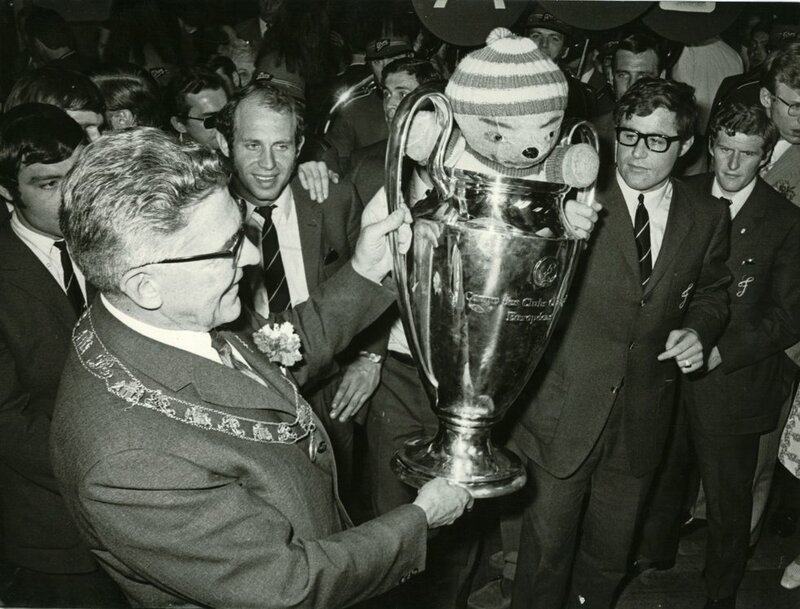 Alongside the European Cup and the Intercontinental Cup the now legendary glasses remain one of the most popular exhibits at the Feyenoord Museum to this day. 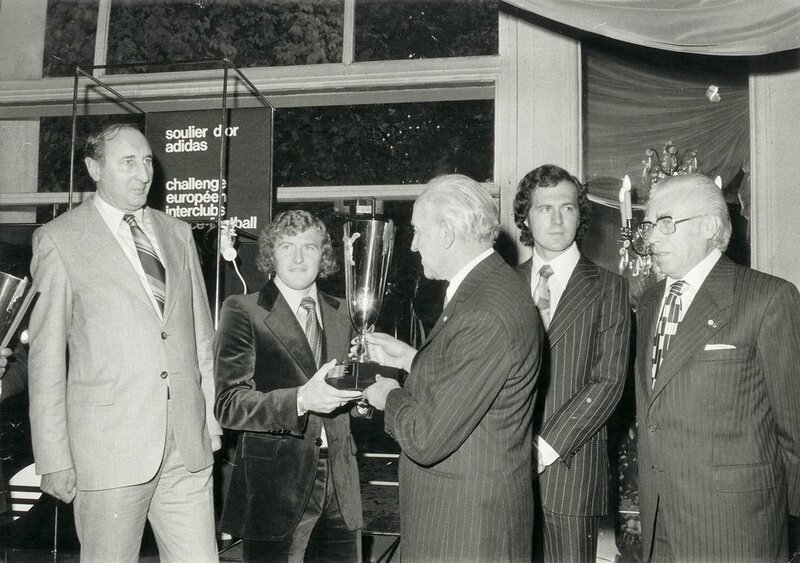 Four seasons later, now led by coach Wiel Coerver, Feyenoord enhanced its international reputation, becoming the first Dutch club to lift the UEFA Cup. Favourites Tottenham Hotspur was held to a 2-2 draw in the first leg in London, with Feyenoord completing the job on home soil. Wim Rijsbergen and Peter Ressel scored the goals as Feyenoord lifted the trophy in front of their own fans. 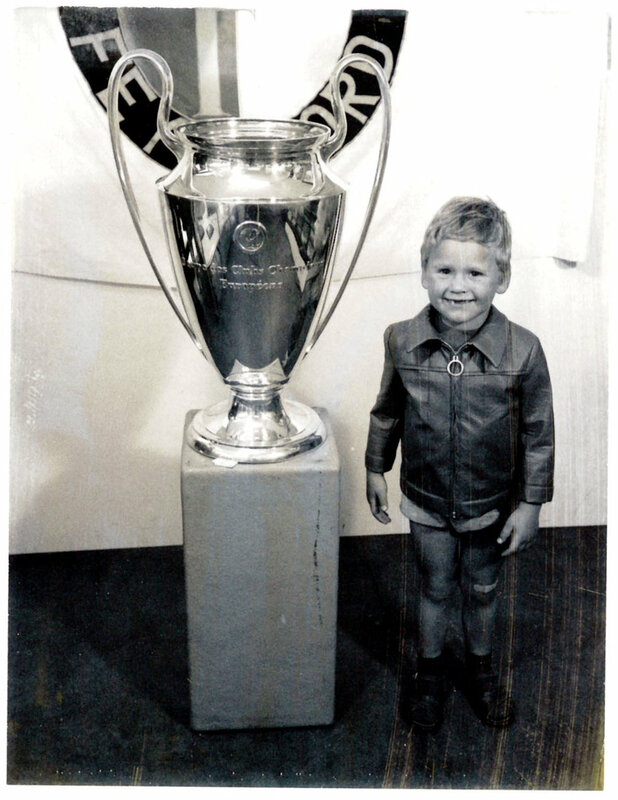 Feyenoord remained regulars in European competition over the following decades, but it would be 28 years before the club added another European trophy to the cabinet. Under coach Bert van Marwijk in 2002 Feyenoord progressed through the rounds of the UEFA Cup. SC Freiburg, Glasgow Rangers, PSV and Inter Milan were all beaten on the way to the final against Borussia Dortmund at Feyenoord’s own De Kuip stadium. As in the run to the final Pierre van Hooijdonk played a crucial role against the Bundesliga club. Van Hooijdonk netted twice, one from the spot and one from a trademark free kick. A second-half goal by Jon Dahl Tomasson ensured that Feyenoord ran out 3-2 winners to take the trophy. 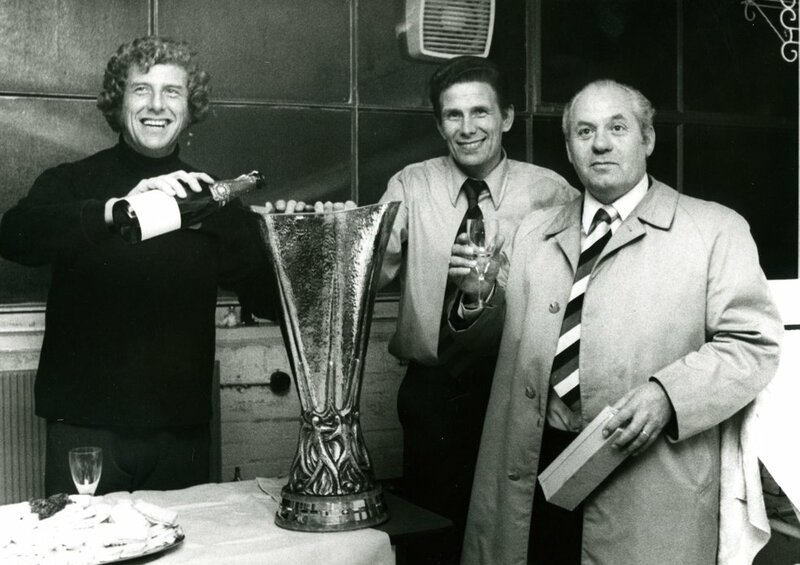 Interestingly, no other Dutch side has won the competition since. Throughout the rich history of the club Feyenoord has had many great players. They have helped the club reach great heights and attract huge crowds to matches. For some, Feyenoord was a step on the ladder to international fame, while others become Feyenoord legends by remaining at the club. Coen Moulijn is one of the latter sort. The winger played no fewer than 487 games over 17 seasons in the red and white of Feyenoord. In fact, he played more times for Feyenoord then any other player in history. So it’s no surprise that Coen Moulijn was affectionately known as Mr Feyenoord. His dazzling footwork made him one of the fan’s favourites when Feyenoord lifted the European Cup and the Intercontinental Cup in 1970. Due to his major contribution to that success he would become a symbol not only of the club but of all Rotterdam. Coen Moulijn’s contemporary Cor van der Gijp is another local hero. While ‘only’ racking up six seasons at Feyenoord Van der Gijp was much loved by the fans. His nose for goal played no little part in that. With an astonishing 171 goals in 233 league games for the club, the striker remains Feyenoord’s all-time top scorer. At the 1974 World Cup Feyenoord players caught the world’s attention. The Dutch national team turned heads with its flowing brand of ‘total football’, making it all the way to the final, before going down to West Germany. Feyenoord supplied seven players to that squad, more than any other club. One of the best known Feyenoord names from that time is Willem van Hanegem. The midfielder, who played a big part in the 1970 European Cup triumph, also helped Feyenoord win three league titles and the UEFA Cup in 1974. 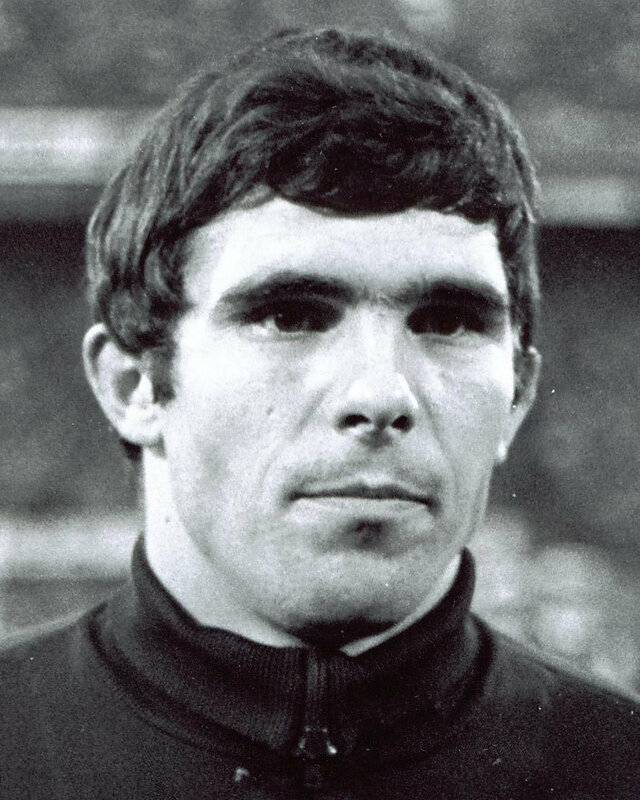 Those achievements earned Van Hanegem iconic status at Feyenoord. 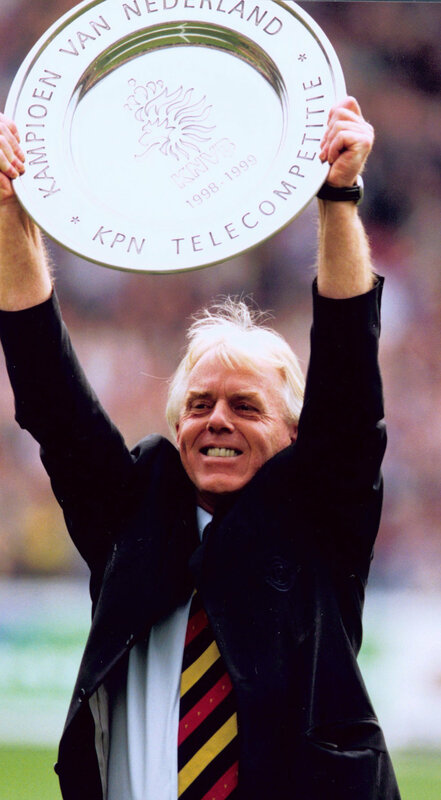 One of the stands at De Kuip is named after him. Big-name players are not confined to Feyenoord’s distant past. The club has continued to attract and develop stars of the game over the past fifteen years. Some of them have gone on to achieve huge success after breaking through at the club. Others have arrived after carving their reputation abroad. Two products of the world famous Feyenoord Academy, Giovanni van Bronckhorst and Robin van Persie both earned their first professional contracts at the club before going on to play for some of Europe’s biggest clubs, like Arsenal, Manchester United and FC Barcelona. Roy Makaay took the other route, ending his career at De Kuip. He now works as an offensive coach at Feyenoord. For others, like Henrik Larsson and Dirk Kuyt, Feyenoord was the launch pad for a successful career. Both arrived at Feyenoord from relatively small clubs, matured at De Kuip and earned a transfer to a top European club. In the recent past, too, Feyenoord has shown itself to be an excellent springboard for young players. Two Feyenoord Academy graduates, Stefan de Vrij and Bruno Martins Indi, moved to Lazio Roma and FC Porto respectively in 2014. Clearly De Kuip continues to a great place for the future starts of the European game to showcase their talents.